BLT or Basellandtrafik is a company owned by the Baselland Kanton. 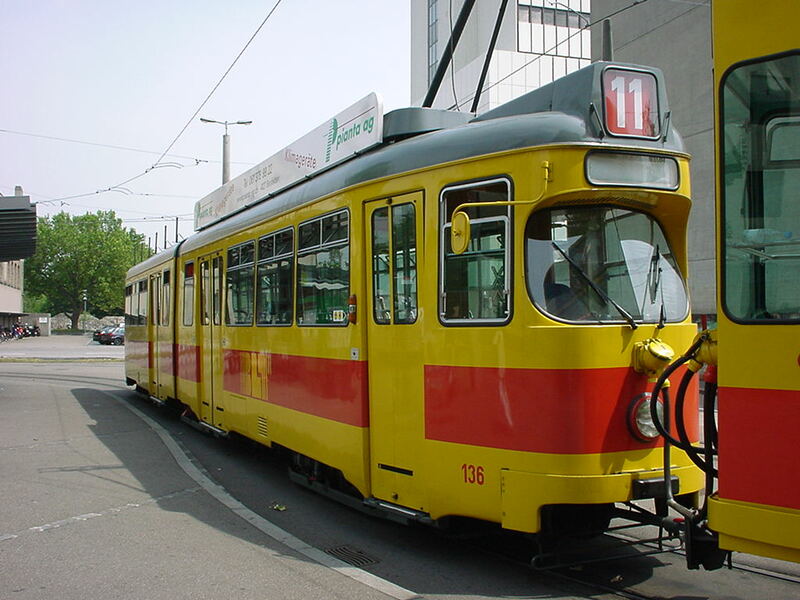 It is the fusion product of BEB, the Birseckbahn (a line from Basel up via the river Birs valley to Arlesheim, Baselland, and Dornach, in Kanton Solothurn), the Trambahngesellschaft Basel-Aesch, which operated on the other side of the Birs valley from Basel to Aesch and the Birsigthalbahn, originally a real train line with narrow gauge steam trains, designed to be built all the way from Basel via the Birsig river valley to Porrentruy, but which was never built further than Rodersdorf. 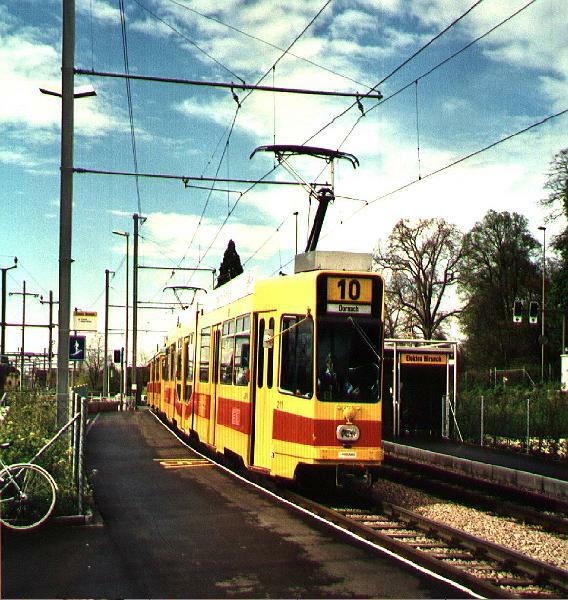 The combination of all this led to the construction of line 10 Dornach-Arlesheim-Basel-Fl�h-Rodersdorf, which is today Europe�s longest tram line where one stop in the middle (the old Leymen station) actually is in France and also line 11, Aesch-Basel-St. Louis border, another remarkably long line, with train-like fast service at the end close to Aesch. 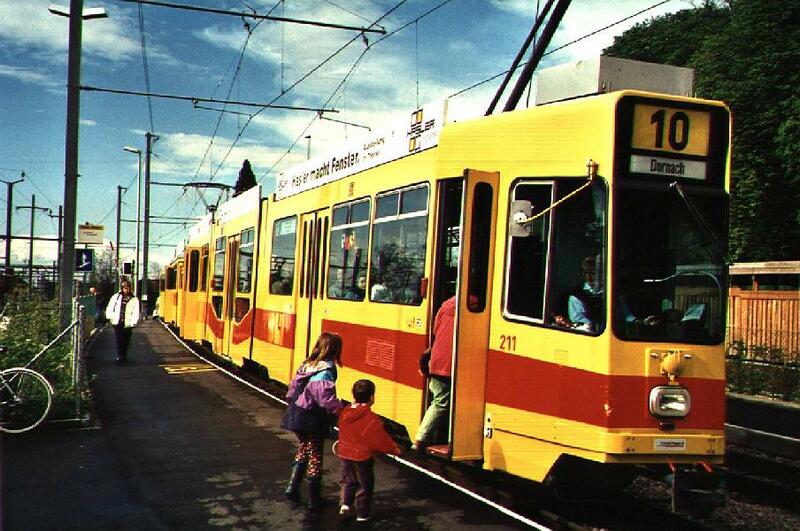 It takes more than an hour for a tram to run through the line no. 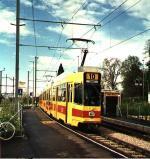 10 and most of the line is clearly built for trains, not trams. 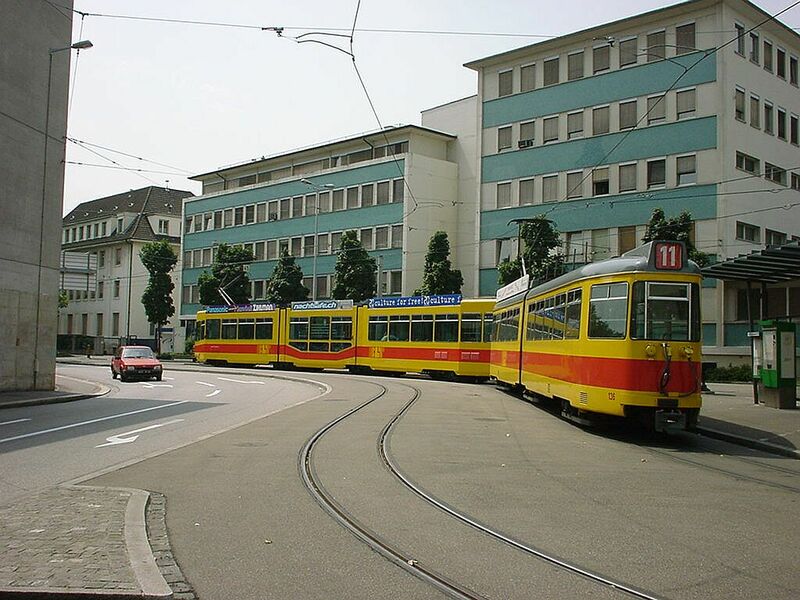 The old stations look pretty funny with today�s low-floor trams. 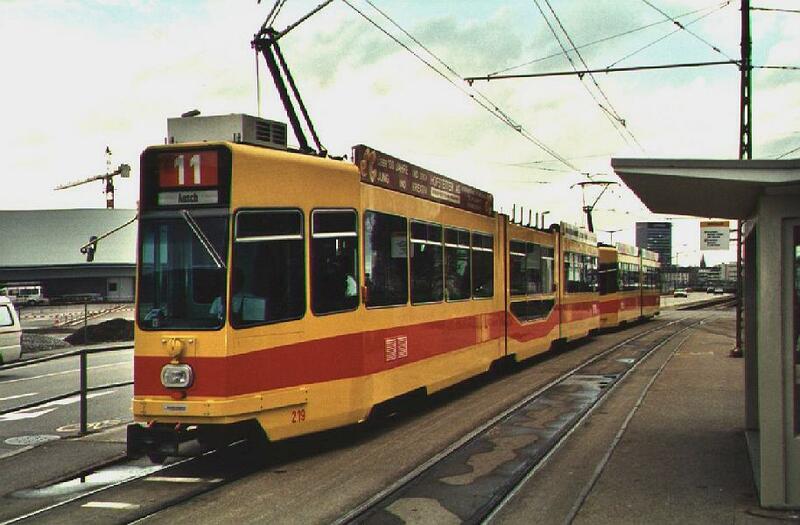 Basel is a city of only about 200 000 inhabitants but still an impressive tram network, with two service companies BLT and BVB operating on the same network. 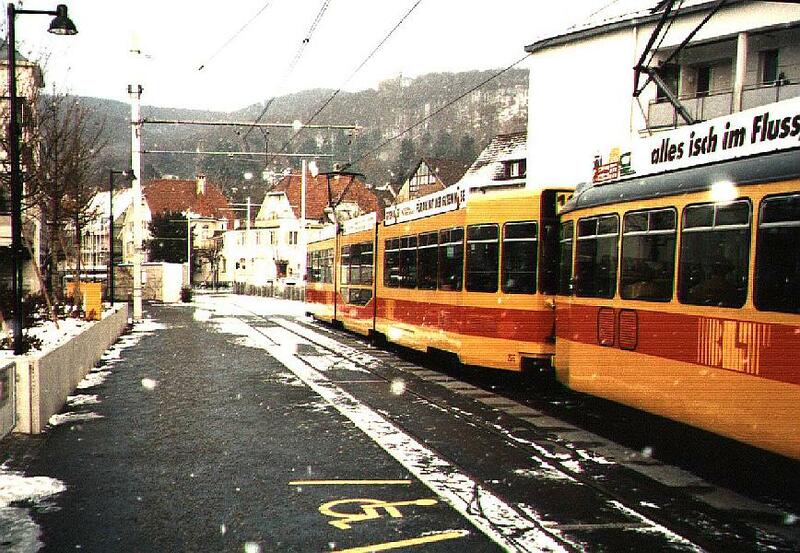 Lines are long and so are the trams.